when you simply wish you could go back and relive or redo something. My year was 1973. I graduated high school and beauty school by summer of that year. I took state board exams and passed the first time. I found myself working as a cosmetologist in a salon while I was still 17 years old. I had a career before I was 18! I bought my first car, with my own money, and moved out of my family home in 1973 also. I felt pretty proud and very mature. 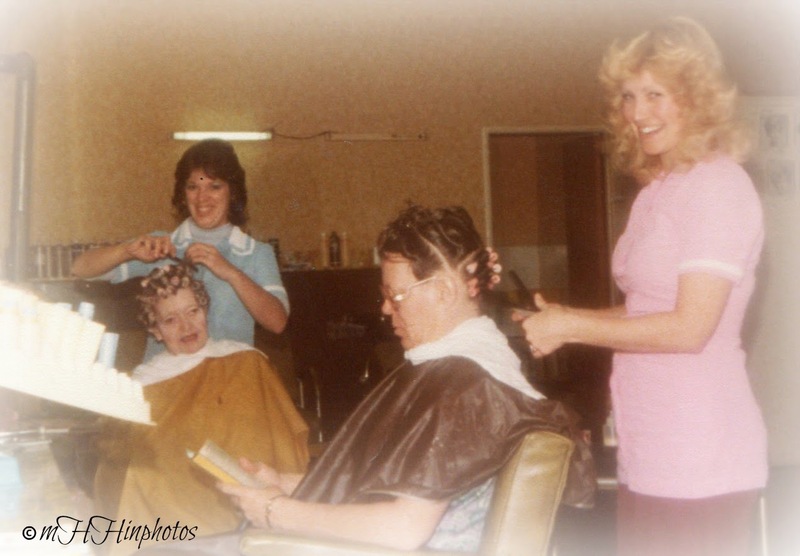 My third Cosmetology job, photo taken in 1979 or 1980. At the Ambassador Beauty Salon where I worked for approximately 9 years. I find it difficult to choose only one year as my year however. Another great year for me was the year my daughter was born, 1979. How can one not choose the year that involved one of the most life changing events and blessings in their life? 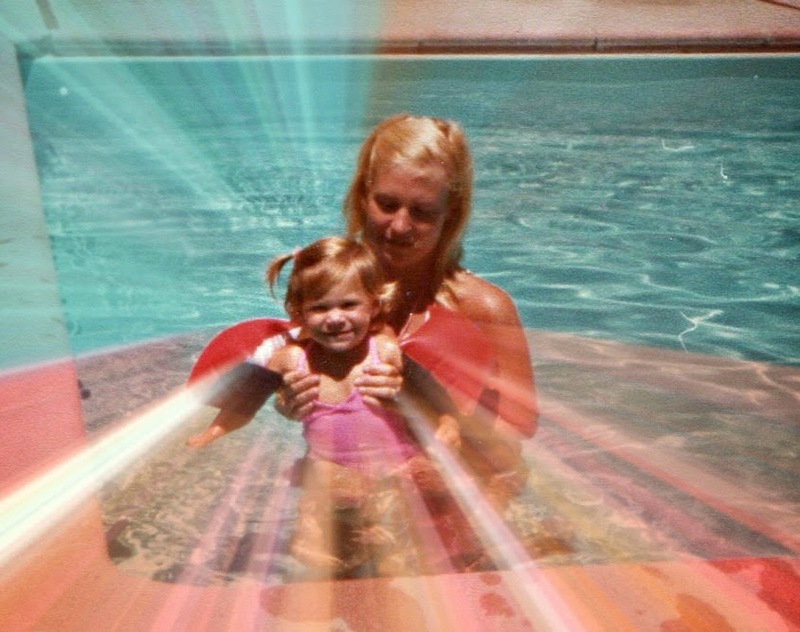 1980 ~ Swimming at my daughter's Lagorio grandparent's home. I have to say I have had a couple of years that were not my year, one was when I went through my divorce in 1987. Divorce's are just plain nasty. Drawn out, hurtful, emotionally draining. I slept whenever I wasn't having to do something else. I went into a depression. The only good thing that may have happened that year was loosing weight and becoming maybe the thinest I have every been. But it was due to stress, so not the best way to go about it. The second year that was not my year was just a couple of years ago, 2012. My family lost so many people in their lives. Certainly, there were other years we lost people, the year I lost my mom or other years when family passed. I could have chosen the year my husband had his heart attack. But this year that I chose was by far the worst year for deaths. 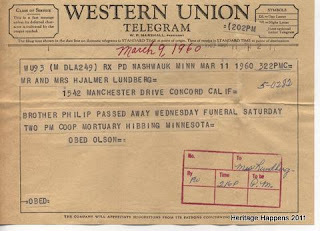 Nina Pernilla Lundberg ~ d. April 24, 2012 ~ Married to a descendent of my 3 great grandfather and mother of his children. I never knew Nina, but how sad to die in your daughter's arms when she is barely a teenager. Daughter and son both lose their mother. So very sad for these two kids. I have met and now know Nina's children since she passed. They all live in Sweden. She definitely passed suddenly. Jack Granado ~ d. April 30, 2012 ~ A friend and neighbor when our children were growing up. He had the only other Harley in the area, the same color as my husband. Passed suddenly. Ken Limtiaco ~ d. June 25, 2012 ~ The happiest guy in the world, on the outside anyway. He always had a smile on his face when I saw him, it made you want to smile right back at him, and I did! My favorite car mechanic for years. Passed suddenly. Terry Lagorio ~ d. July 20, 2012 ~ My daughter's father, my first husband ~ passed suddenly. Ray Staton ~ d. August 8, 2012 ~ My son in law's father, had been ill ~ passed suddenly. While in town for Ray Staton's funeral, my son in law's father's best friend also passed away. My son in law and daughter also attend this funeral service. Arline Mills ~ d. August 17, 2012 ~ My first cousin once removed whom I was lucky enough to meet several years prior to her passing. She lived close and I learned a lot about this family line from her, she was 90 years old when she passed away. Ralph Gill ~ d. September 12, 2012 ~ Golfing friend, died suddenly. Kenny Best ~ September 24, 2012 ~ Worked with my husband forever and was a great friend. Became ill and passed a few months later. Denise Churich ~ Oct 5, 2012 ~ Used to be our neighbor, her girls and ours grew up and went to school together. Friend. Passed suddenly. Ruben Romero ~ Dec. 2012 ~ Co-worker of my husband, a friend and one of our two go to tile guys. Passed suddenly. Almost a loss a month. Before we could get over one loss there would be another. So much shock through out the year, so many passing suddenly, and several far to young. By young I mean 62 years and younger, with one only 42 years old. That year I found myself wanting to hibernate and "not know so many people." After all, the more people I knew, the more that will pass away. I must say, it was an eye opening year. Live life to the fullest, every single day. Be sure to tell the ones you love that you love them. You never know what tomorrow may bring. That was a lot of people to lose in one year. It gave me kind of jolt to see I wouldn't be considered leaving to early as I'm 67. I sure feel like it would be too early! I'm not even caught up on my prompts! !